We put off our freedom (unconsciously) because we are getting something from (unconsciously) the behaviors and thoughts that keep us trapped. I have had many clients over the years desperately want relief. Relief from intrusive good/bad food thoughts, relief from not liking the reflection in the mirror, relief from eating until they are so full they could burst but do it again the next day anyway. What makes someone believe that getting rid of food will really rid them of their discomfort? 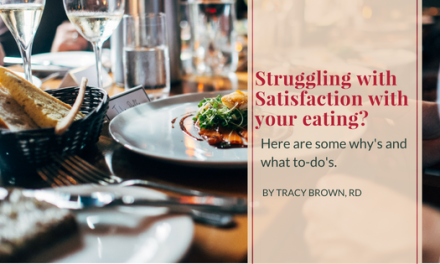 The answer is that our food and weight behaviors and beliefs are always an invitation into knowing our hungers, and satisfaction needs; our appetites and desires AND our BLOCKS about receiving and feeling deserving of satisfaction. So a client (or many) have asked me, “How do we get passed unconscious blocks if we aren’t fully aware of them?” Great question! We don’t necessarily go looking for them. They will arise and become more clear as we go about the daily work of taking the time to check in with hunger and fullness and honor that. In not going on that diet and reminding yourself that you will not get a different result with your weight or your life by the distraction of the diet for very long and that being WITH yourself now will give you plenty to work with. For example, let’s say you avoid sweets. You love them yet tell yourself you can’t have them still, after having cognitively realizing that sweets can’t make you gain weight or inherently make you unhealthy (context of course, if you have sweets every meal of every day you are missing nutrients,etc that might be a problem for you ). But here you are, still feeling afraid to have them or guilty for eating them. So what could that be about? It is really YOUR story and relationship with what you believe it means about you to eat sweets or receive pleasure or sweetness in your life. Maybe your stuck-ness isn’t all that unconscious. Sometimes when I ask what they think their behavior is about and without much hesitation they might say, “I am afraid that things won’t be better; I will just weigh more/less and still be unhappy”. Of course healing your eating problems will not fix everything. You will still have discomforts; people that don’t get you or what you need and of course disappointments. 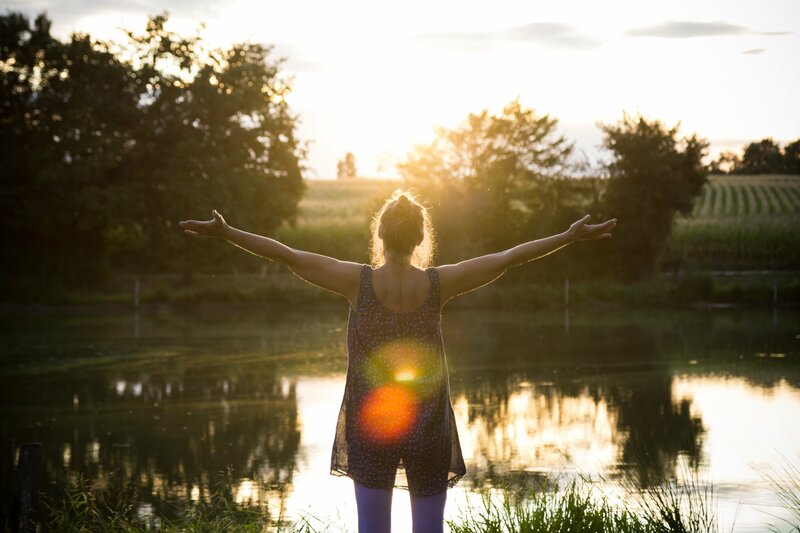 What will be the gift of freeing yourself from using food (eating or not eating) is that you have a chance to be more your essential self, or essence, which is who were are here to show up to be. We are not here to win the “thinnest in the room award” to buy some acceptance or even live a life of believing that you should feel bad because you haven’t been will-powered enough to make the weight stay off. I know those have been your stories and they feel so real however they aren’t real and weren’t originally yours. You learned those stories to help you feel less sad and scared long ago from other wounds and now we just believe it’s about the weight. Unless we are willing to take steps towards, and eventually go through, the doorway that food and weight worries provides, we sadly will stay in the “getting by” that this numbness provides. And you don’t have to go plowing through the door. You can take just one little step closer today. And when you feel you have lived enough with that step, you take another. If you didn’t blame your body or fear making the changes you need to be more nourished, what would that look like today. Then DO that. Get support to keep doing that. The part of you inside that is dying to be free will be forever grateful. I’m with you because I have been you. I have a couple of announcements. After many years of wanting to do this the trigger is finally pulled. The membership site will contain recordings of all the calls and reminder of the exercise to focus on for the month as well as occasional surprises. The exchange will be $10/month for the live group call, practices to put into action and access to past calls. I will post again to say “Let’s transform”! I will be opening up my Free 31 days for Holiday Eating Support. It is daily email sent to you in the spirit of supporting your freedom from weight and food worries over the holiday period right before Thanksgiving to Christmas Day. I will have ready to sign up for the week before Thanksgiving. To give you a taste of my Support for Intuitive Eating over the Holidays in-person group, I have complied several exercises (meaning 9!) and an instructional audio for you to have access to as many times as you need over the coming week. Here’s to your freedom and look forward to hearing from you soon!